Dark ambient musicians find inspiration for their work from an infinite number of places. Some will stare out over a foggy landscape and become inspired. Others will find motivation in their favorite horror film. Still others will find inspiration in the depths of their subconscious, allowing their night terrors to enter reality. Often these things will mix and mingle in the mind of any given artist. One need not attach all inspiration to some set category. The Road, a post-apocalyptic novel by Cormac McCarthy, has lent inspiration to a number of dark ambient players. Yet, no where more strongly or directly than on the instant classic The Borrowed World, a split by Northaunt and Svartsinn. The Borrowed World features only two tracks, one each from the to aforementioned artists. In the twenty minute span of each track, what we dark ambient fans are presented with is nothing short of perfection. Perfection. Yes this is a strong word to use, yet if there were anywhere that I would place this certification, it is surely on The Borrowed World. Hærleif Langås of Northaunt and Jan Roger Pettersen of Svartsinn have a friendship going back many years, to the beginnings of their dark ambient careers. We can trace the physical evidence of this friendship all the way back to 2000, when Svartsinn, releasing his debut album Devouring Consciousness, shows his deep respect for Northaunt in his acknowledgements in the album liner notes. Sharing the city of Trondheim, Norway as their homebase, and sharing a very similar musical style, which was exceedingly rare in these times, makes perfectly good sense in the establishment of this friendship. Over the years this bond has only continued to grow and while they never shared a project, they often would share a stage, a record label, in Cyclic Law, and always a hometown. So when Loki Foundation‘s sub-label Power & Steel came along in 2010 asking these two musicians to participate in a split, destined for release on vinyl, their acceptance seemed obvious. What came about over the next few years of preparation would become on of the most beautiful dark ambient releases post-Cold Meat Industry. To understand what The Borrowed World is all about we must first understand the common thread between the two artists. 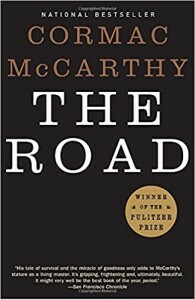 The Road, a post-apocalyptic novel by the renowned author Cormac McCarthy. The Road follows a man and his young son through a world that is lost. Devastation presents itself to them at every turn. The struggle to wake the next morning and keep fighting for life is existentially hard for them to grasp. “We’re survivors he told her across the flame of the lamp. As you may now realize, the tone of this novel is exceptionally forlorn. The descriptions of the land are vivid, even as their subject is gray and dull. 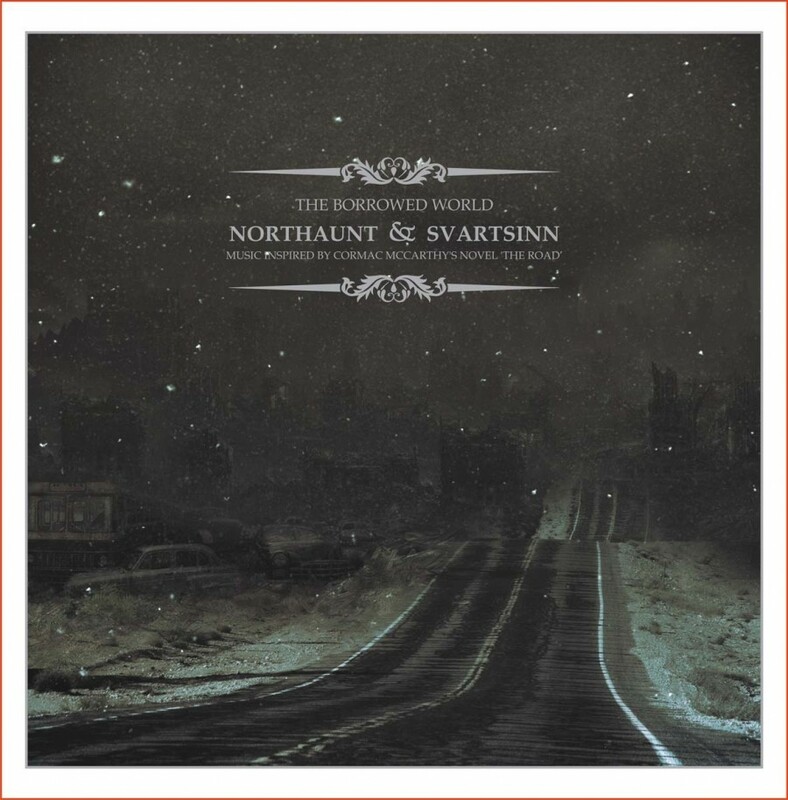 With this as their mutual subject, Northaunt and Svartsinn began preparing their tracks for The Borrowed World. Both artists’ tracks are deeply emotional and infinitely moving. Northaunt took on a style reminiscent of his earlier masterwork, Horizons. The track gently flows and morphs. There are no vocals or film clips present. Starting as a deeply atmospheric style, Northaunt paints a picture of this barren landscape. We can feel the cold winds rushing across our faces. We can taste the fine particles of ash sting our eyes and dry our tongues. Yet, as we move into the second half of “If Only My Heart Were Stone”, the soundscapes take an emotional turn. We move from dull gray vistas into the mind of the protagonist. The father struggles with a key dilemma throughout the novel: Is it better to commit a murder / suicide and end the suffering of himself and his child, or should they continue to fight for life, even if there seems to be no chance of respite. Northaunt makes it possible for us to feel those emotions. “If Only My Heart Were Stone” moves from those barren soundscapes into his most introspective and emotional work to date. “I was playing a concert in Prague with Tholen. On the way home, I had a lot of time at the airport, so I decided to check the book store. Normally I never check books that says “Now A Major Movie” on the cover, but somehow I found myself reading the back and the “short reviews” found on the book cover, which made it seem interesting. I didn’t know the author from before, but had heard about another movie that apparently came from one of his books (No Country For Old Men, which I hadn’t seen yet either). The book was on sale, so I guess I decided to peak a bit inside as well… BOOM, I was hooked just after reading the first paragraph, totally captivating from the beginning to the end. I was about half way into the book by the time I was home in Trolla. When the book was done I recommended it to Hærleif, who totally had the same affection for the book and read it equally fast. And we had a chat one late evening about it and how well this theme could fit the dark ambient atmosphere. 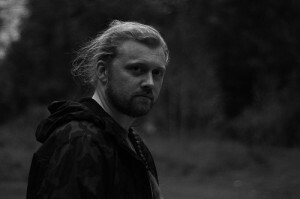 Svartsinn takes these similar themes and moves in a different direction with his soundscapes. If Northaunt presented the coldest nights, filled with stinging snow storms which tore at the skin of the protagonists, Svartsinn illustrates the calmer ones. He taps into contemplative evenings, times when the filthy travelers found a bit of peace. Warm days, stomachs finally absorbing some calories. A false sense of contentment is present throughout “Ashes of the Late World”. Even as the father finds his next large cache of supplies, he still coughs blood. Even as the son sips a can of Coca-Cola, he still knows it may be the last one on Earth. “Ashes of the Late World” may even be considered a reflection of the mindset of the son, more so than that of the father. There seems to be a naivety present. There is a beauty in every moment of the track. This beauty is greatly pronounced by the use of live cello instrumentation incorporated into the track, by cellist Amund Ulvestad. But this beauty is contrasted with a harsh reality, an ever-looming cold and darkness. Svartsinn opts to incorporate a few samples from the movie adaptation of the novel into his track. We hear the father describe those last moments with his wife. Then, moments later, we hear the son crying out, “Papa! Papa!” in a sickly heart-wrenching whimper. As the last major events of the album, these clips tear at the heart, leaving the listener in a sullen state of mind. 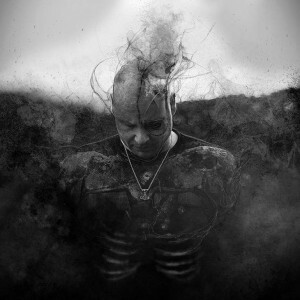 It is little surprise that these two artists decided to adapt The Road to their dark ambient stylings. Both clearly had a love for and deep understanding of the novel. Both artists had the years of experience as musicians to coax those bleakest of emotions from their sounds, evoking a sense of despair in the listeners as fervent as that of McCarthy’s narrative. As if all this weren’t already enough, Simon Heath of Cryo Chamber prepared the artwork for the album, giving it that much needed dull and cold depiction, while A. Wahnmann, of the much respected Secretlab, performed the duty of mastering the album.